The resort area of Punta Cana has been attracting tourists for its pristine white sands and crystal clear waters since the 1970s, and with its 100 kilometers (62 miles) of coastline there’s no shortage of stunning beaches to enjoy in this top Dominican Republic destination. 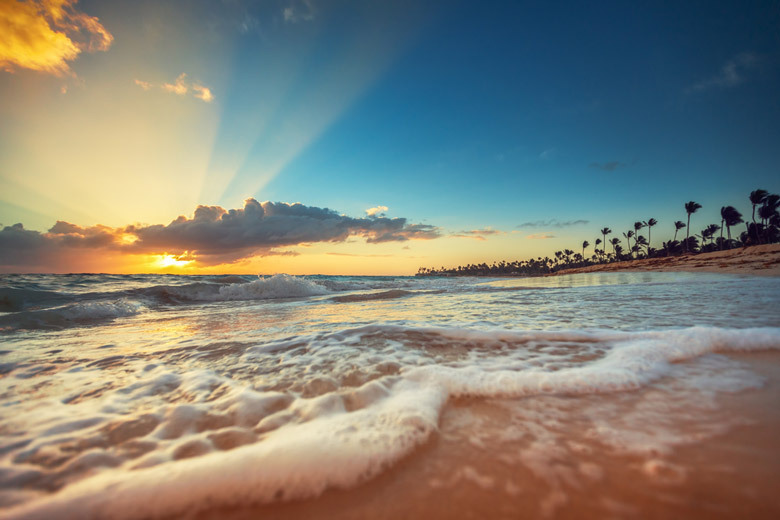 Known for its numerous resorts, many of which are all-inclusive, Punta Cana has long been seen as a place to take an affordable tropical vacation and has been particularly popular with Europeans though North Americans are now catching on too! Incorporating the beaches and villages of Bavaro and Macao Beach, the Punta Cana name is now used as an umbrella term to describe the whole area situated at the easternmost tip of the Dominican Republic where the Atlantic Ocean meets the Caribbean Sea. As well as being broadly called Punta Cana, the coastline here is known as La Costa del Coco, meaning the Coconut Coast, and you’ll find plenty of coconut trees lining the beautiful beaches. When you visit Punta Cana you’ll find an array of amenities; not least in the Bavaro area. Tourism has grown rapidly and with the building of hotels has come the introduction of more retail outlets, fast food venues and fine dining restaurants. You’re never short of things to do when you visit Punta Cana, but if you want a change from the coastline and the tourist-centric areas you can always head inland to the closest city, Higüey, which is about an hour’s drive away. If you’re a fan of being on or in the water then Punta Cana is full of opportunities for you. Many of the beaches have areas of shallow water, making these perfect for a relaxed swim. 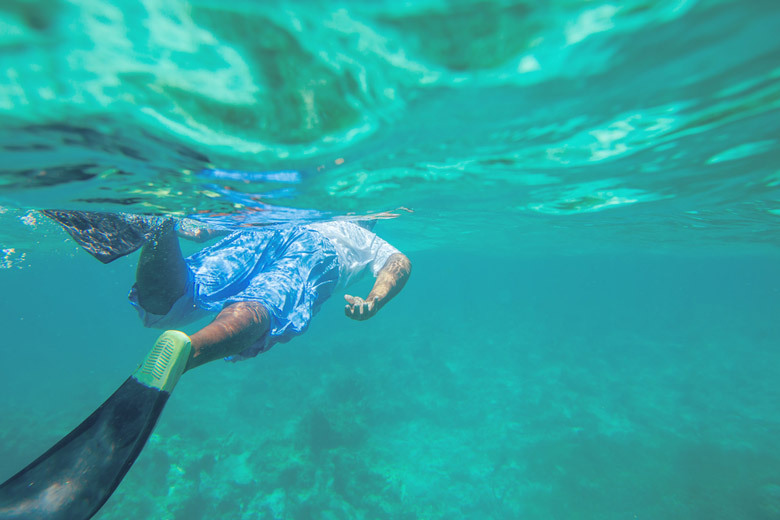 If you’re feeling a little more adventurous then you can take the opportunity to go snorkeling or have a swim with dolphins or sharks. There are many different types of water craft in the area and you can opt for a leisurely sightseeing cruise, enjoy some deep sea fishing or have a ride in a speedboat. The fun continues on shore where you can feel exhilarated while zip-lining or experience the fast paced fun of four-wheeling. If you want to experience the history of the Dominican Republic then the capital city, Santa Domingo, is not far away. You can also check out the beauty of the Los Haitises National Park. The provincial capital, Higüey, has a long history; it’s over five hundred years old and is home to the Basilica Catholic Monument which is a good photo opportunity. Punta Cana is a major resort area and there is a lot of development along the beaches but they remain known for their pristine sands and warm, crystal blue waters. 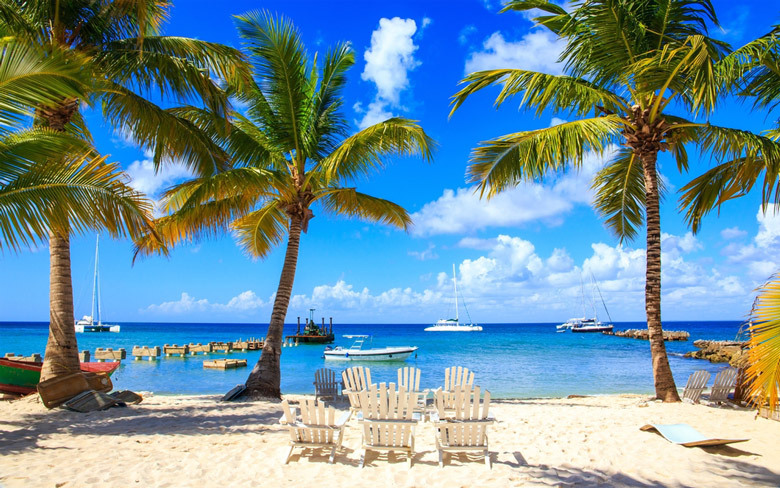 The area still has that sense of Caribbean idyll despite its popularity. Impressively, the paving and the roads in the area have been re-laid to add to the overall visitor experience. Generally if you’re visiting Punta Cana, you can expect to find the smaller beach areas around Bavaro with the more upmarket resorts and golf courses gathered around Punta Cana itself. There is certainly no shortage of things to see and do for any visitors to the Punta Cana area.